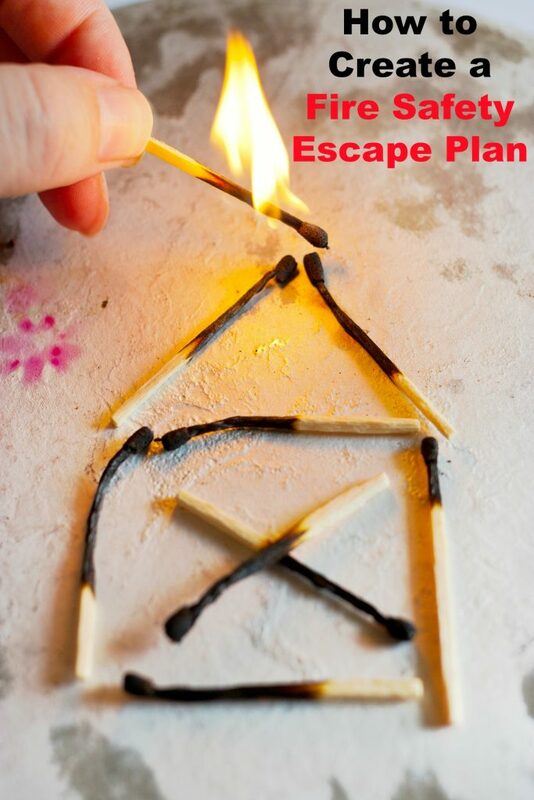 This post about creating a fire safety escape plan has been sponsored by First Alert. All opinions expressed here are my own. When my children were young, they had a fire safety lesson at school. There was a mobile ‘classroom’ that came to the school and taught them how to escape from a room if the house was on fire. They learned things like staying low to the ground to avoid smoke and to feel the door before opening it to see if it was hot. 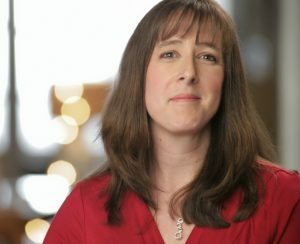 When they came home from school that day, they brought home knowledge that could save their lives. But without a fire safety escape plan for our home, these lessons would not do enough to keep them safe. We immediately sat them down and had a serious discussion about fire safety. I thought I would share these tips from First Alert to help you have this important discussion with your own family. If fire safety is important to you, check out my article on how to prevent Christmas Tree fires as well. The holidays can increase your risk of a home fire so it is important information to know! If there is ever a fire in your home, your kids need to know what to do. Every single second counts in a fire. Here are a few tips to keep in mind as well as a Fire Escape Plan PDF to print out and get you started. Draw a map of your home. Download the Fire Escape Plan PDF to get started. Choose two exits from each room and a path to the outside from each exit. In the 12 years I have lived in this neighborhood, there have been 4 house fires. 3 were caused by lightning and one was started by an unknown cause. Only one of those fires caused minimal damage. The others were labeled a complete loss of property, although thankfully all the people got out safely. You know why people get out of a house fire safely? Because they are warned by smoke detectors of the fire and they know exactly what to do in order to escape. Without smoke detectors and a fire safety escape plan, your chances of escaping a fire in your home are significantly smaller. First Alert wants to help make sure that your family stays SAFE! 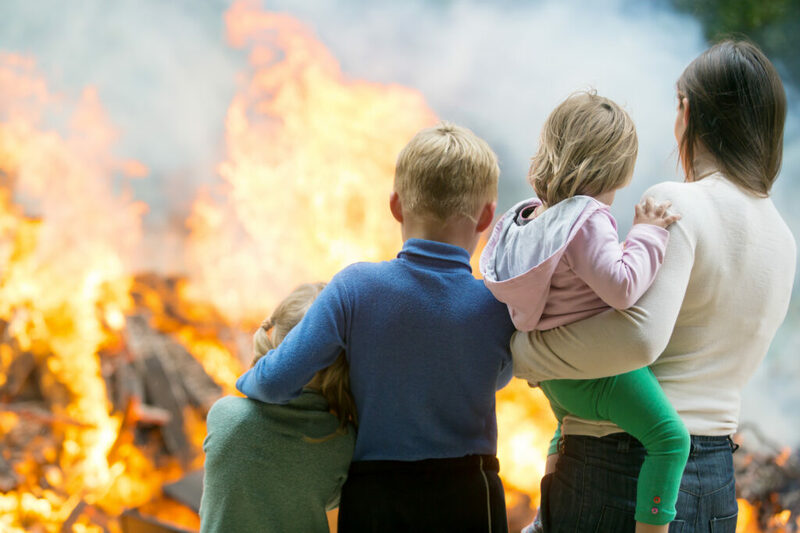 October is National Fire Prevention Month and an important time to make sure your family is taking certain safety steps and knows what to do in case of emergency. First Alert wants your family to unleash their own superpowers with the “Super Prepared Family” campaign. Watch the video clips below with your kids and then work together to discuss important fire safety tips and fill out your fire safety escape plan! Follow the directions in the form below to enter to win! I learned that their products have a ten year battery! 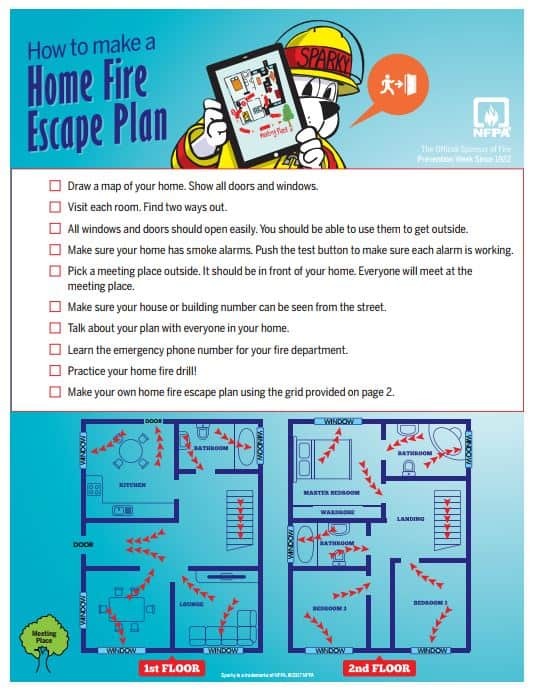 I learned that they have fire safety tips available such as a "How to Make a Family Escape Plan" page that you can print. I learned they have a teachers page to help teach student's about fire safety. I learned that their products can be found a most major retailers. In my area that would include Ace & Home Depot. I learned an estimated 890 lives could be saved each year in the United States if all homes had working smoke alarms. I learned that you can print How to Make a Family Escape Plan. I learned that First Alerts 10-year sealed battery products do not need battery replacements for the life of the alarm. I learned First Alert has a carbon monoxide alarm that's compact and able to be placed on a tabletop. 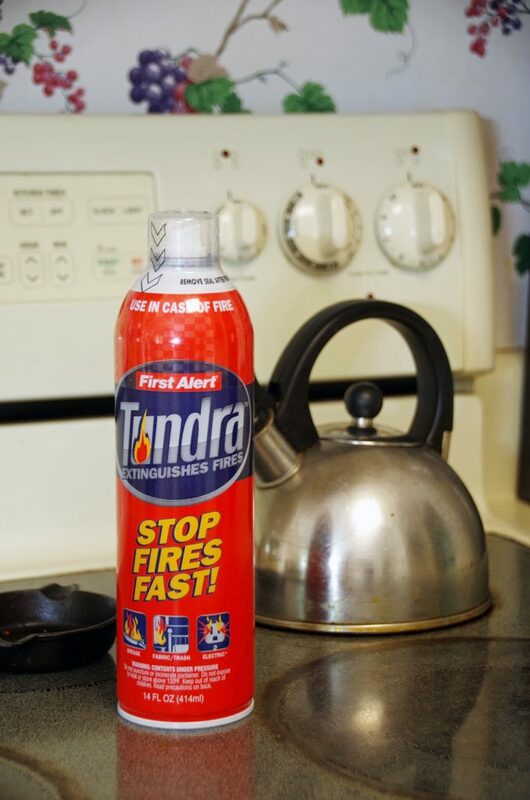 I learned that The First Alert Tundra Fire Extinguishing Spray is effective on common kitchen and household fires including paper, fabric, wood, cooking oils, and electrical fires. I learned smoke alarms should be replaced every 10 years...their products last that long and don't need batteries. I learned that their battery will last 10 years. I learned First Alert has a carbon monoxide alarm that's compact and able to be placed on a tabletop and the battery will last 10 years! I learned that the battery lasts 10 years, thank you so much! I learned that carbon monoxide is odorless and invisible and robs you of your oxygen. Carbon Monoxide is one of the leading causes of accidental poisoning. Thanks for the giveaway! Be prepared and these products are the answer. I learned that you need to replace smoke alarms every 10 years. I learned the batteries last 10 years in these detectors! The batteries are sealed and are good for the life of the detector, ten years. We had a CO detector that saved our lives over the winter. I learned that the carbon dioxide monitor can be wall mounted or kept on the table top. I learned you should test your smoke alarms once a month, I never knew that. 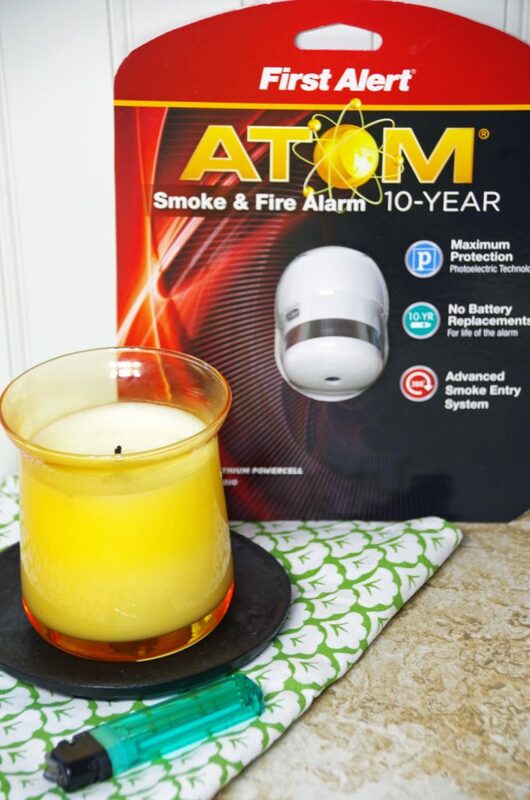 They have a 10 year sealed battery that guarantees you never have to replace batteries for the life of the alarm. I learned that all smoke alarms should be replaced every 10 years. I learned that you need to make sure everyone in the home understands the sound of a smoke alarm and how to respond! We have been testing ours so that our little one will know the sound if it wakes him in the middle of the night. I learned that they have a Onelink Safety App! I went browsing through some of their products and they have some really nice fireproof document safes. I learned the National Fire Protection Association recommends testing your smoke alarms at least once a month. Having 10 year batteries make them worry free for a long time. I learned that First Alert has 10-year sealed battery products that do not need battery replacements for the life of the alarm. I learned that First Alert offers a complete line of 10-year sealed battery smoke and carbon monoxide alarms.